Shilla Shakoori is a graphic designer/fine artist, born and raised in Tehran, Iran. She received her BA in graphic design from Azad University of Art & Architecture. After being an assistant for Master Mostafa Assadollahi, she moved to the U.S. in 2007, graduating form Cal State Northridge in 2012, with an MFA in graphic design. 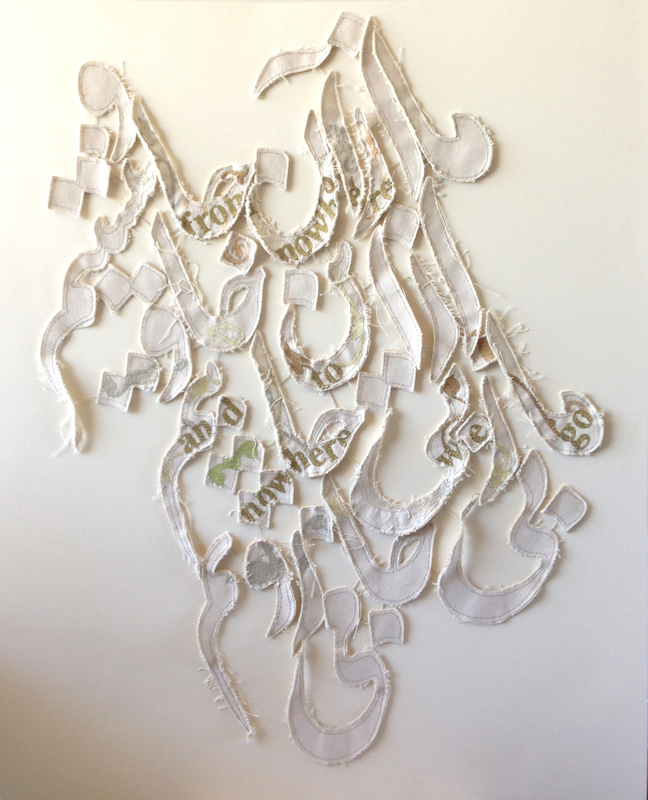 After developing a thirst for Rumi's poetry through a class called "Universal In You," Farsi and English discussions to understand further inspired her to work in combining Farsi and English words. She also finds the process of sewing meditative, allowing moments of ponder.